Short-term thinking has become the norm in our current system. One of the consequences of this is egotism, but also, it gets in the way of creativity. Short-term thinking has become the norm in our current system. One of the consequences of this is egotism, but also, it gets in the way of creativity. At the same time, the internet is strongly ‘commodifying’ the market. How can you still make your company stand out above the others? The original Lean then Omotenashi – two terms originating from Japan. Lean, agile, scrum: these are all words that we hear a lot these days and they have become a part of our everyday language. But they are also terms that are difficult to explain. You know that they work, but do you really know why and how? Also, why is Lean often used as a way justifying a reorganisation instead of using it for what it is supposed to be used for – i.e. for improving the organisation? The answer to this question lies in the rationalisation of our society and the business world, which is increasingly making people feel isolated. Instead of transparency, there is an increasing amount of confusion, less attention is being paid to the right things, there is less clarity and too much attention is paid to procedures and prevention instead of problem solving. Because of this, it is becoming much more difficult to work efficiently and effectively. The true ‘knowhow’ of Lean (and not the ‘know that’) ensures that there is a (better) connection between everyone involved, that you have happier customers and more time (for yourself). It teaches you what you really should do but also what you really shouldn’t do. Only if you get this right, will you have spare time and happy customers. It isn’t surprising that a lot goes wrong when Lean principles are actually applied for the first time, because to be able to apply something, people first have to really understand it well. But, we have forgotten that there is a difference between information, learning and knowledge. And in between these three things come practice and experience. The same can be said for Omotenashi, the service level that started in Japan and has now made its way over to us. 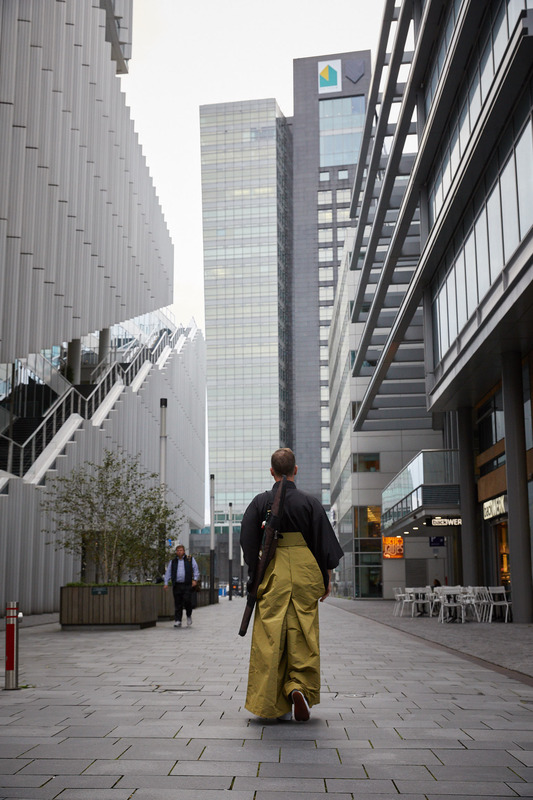 Unlike Lean, the term Omotenashi is not yet commonly used here, but when you go to Japan, you will see it in practice everywhere: the level of service cannot be matched, no matter where you go. Omotenashi means providing a service by focussing on the customer’s perspective (i.e. seeing things as the customer sees it and not by focussing on the customer). So whereas in the West, really only one customer will be properly looked after – and that is the shareholder – Omotenashi is all about putting yourself in the shoes of the (real) customer to find out what they really want and thereafter, working out how you can best achieve that. Japanese companies are known for the quality of their products and service. There can be no compromises. At the end of the day, a well-run, profitable business (process) can really only be achieved through continuously maintaining quality products and at the same time providing the best service imaginable. In essence Omotenashi is all about providing the best service you can think of without expecting any (direct) compensation for it. That sounds very strange to our Western ears but by properly applying Omotenashi principles, by being loyal to your customers and by exceeding their expectations, a good bond and mutual loyalty will form between you. And for whoever wants to stand out in the crowd in this current, continuously- commodifying market, this will be of the utmost importance. Omotenashi doesn’t just happen overnight. Just like Lean, it demands a lot of effort, commitment and a good understanding. Seen from a Westerner’s point of view, it is quickly considered to be ‘too much’ or even ‘subservient’. Being at someone’s service is seen by many people as making yourself less worthy than they are. To achieve Omotenashi, quite the opposite is true: it is very fulfilling and creates a lot mutual esteem, i.e. for both the customer and the employee. But it does demand training and development to be able to get it right. And experience plays a big role in this. Does that mean that we here in the West are getting it all wrong and that we should be copying what the Japanese are doing to the T? No, certainly not. Just like other successful Japanese approaches, they can only really work here when they also draw on the qualities of the strong points of the local culture. To give an example, the Dutch people’s directness is a good quality/strength; at least it is when used here in the Netherlands. It is that combination of true, original Lean, Omotenashi and local strength that wins the day. For all involved!